When all the teeth remaining in the mouth are extracted for oral health reasons, it is called a full mouth extraction. In the course of dental practice, dental practitioners encounter patients with teeth which are affected by caries or periodontal disease to the extent that any other treatment is not possible, except for full mouth extraction. Multiple conditions, such as genetic dental malformations, hereditary diseases of teeth, poor oral hygiene care, improper maintenance of routine oral hygiene, lack of insufficient fluoride exposure and unhealthy dietary habits can all contribute to this situation. Once the condition of the teeth is diagnosed by Doctor Van Maren, a treatment plan will be developed so that the infections in and around the teeth can be treated and the patient can be relieved of acute or chronic pain. 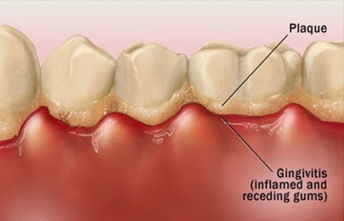 Full mouth extraction is sometimes carried out in the case of periodontal conditions. Periodontitis is a disease affecting supporting structures of teeth and causing their destruction, leading to loosening of teeth. Though periodontitis can be treated by various measures, if it progresses to an advanced stage, it may lead to loss of teeth. At this stage, excessively loose teeth remaining in the mouth have to be extracted to prevent further progression of disease in the bone. Full mouth extraction at this stage can help in controlling excessive bone loss. Evidences indicate that because of the changing dietary pattern of many Americans, the incidence of dental caries is increasing in young adult patients. Increased consumption of foods such as excessive intake of sweets and beverages leads to extensive caries and loss of teeth. Xerostomia is a condition in which the amount of saliva in the mouth decreases. Saliva protects the teeth from attack of caries due to its flushing as well as buffering action. Saliva also helps in remineralization of teeth which have been demineralized due to attack of acid. A large number of patients suffering from Xerostomia have this condition due to various medications such as antidepressants, antibiotics etc.